Resorts of Ontario's Spring Conference, "It's Showtime" trade show and Presidents dinner was held last week at Blue Mountain Resort in Collingwood (Mar 23 and 24) and what an event it was. The day started with a presentation from Michael Kurts from the Ministry of Tourism and Culture, outlining how regional tourism organizations will play a role in Ontario starting July 2010. This was followed by the Annual General Meeting which featured the annual report and an outline of new initiatives planned for 2010. The "It's Showtime" trade show kicked off on Tuesday afternoon with a lunch featuring a classical french cheese station, a pasta station and a seafood station. Everyone raved about the meal and commented that we need a similar lunch every year going forward. 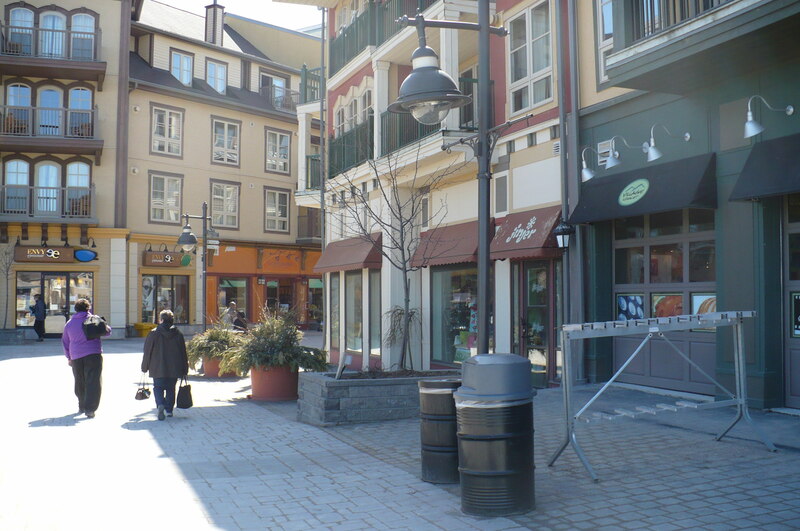 The resort owners and operators made their way around the trade show floor which had representatives from different Resorts of Ontario preferred suppliers. Swissol, Planet Energy and Sam Group promoted their products through informational showcase sessions. 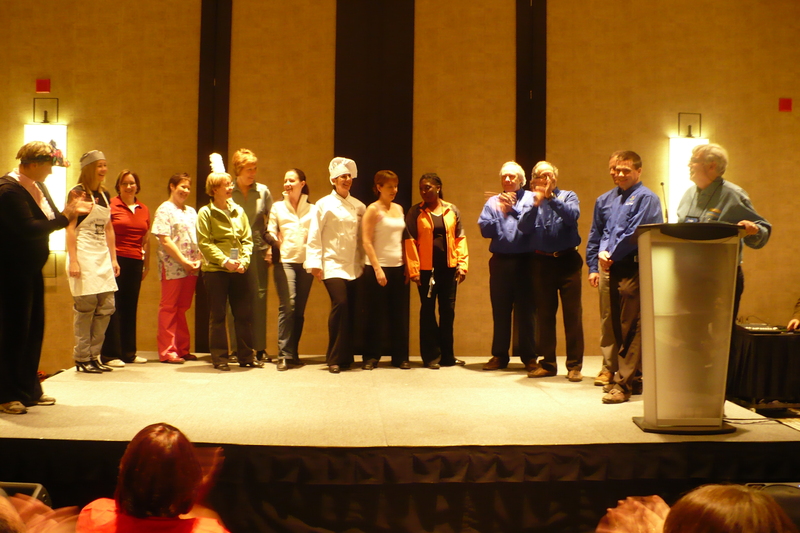 (One of the highlights of the tradeshow was certainly the fashion show featuring different clothing items for the resort industry put on by the Sam Group and featuring volunteer models from some different resorts as well as a few staff members from our office. The afternoon also had information sessions with the first being a presentation done by Sarah from Galigraph Design focusing on the "Keys to successful advertising." Later in the day was a presentation from Gord Bell of Beauview Cottages on "Understanding Social Media." A wine reception started off the evening and dinner attendees where able to participate in a traditional wine tasting presented by the wine specialists of Inniskillen. Resorts of Ontario putting on a rockin' good time with its Rock and Roll themed night. 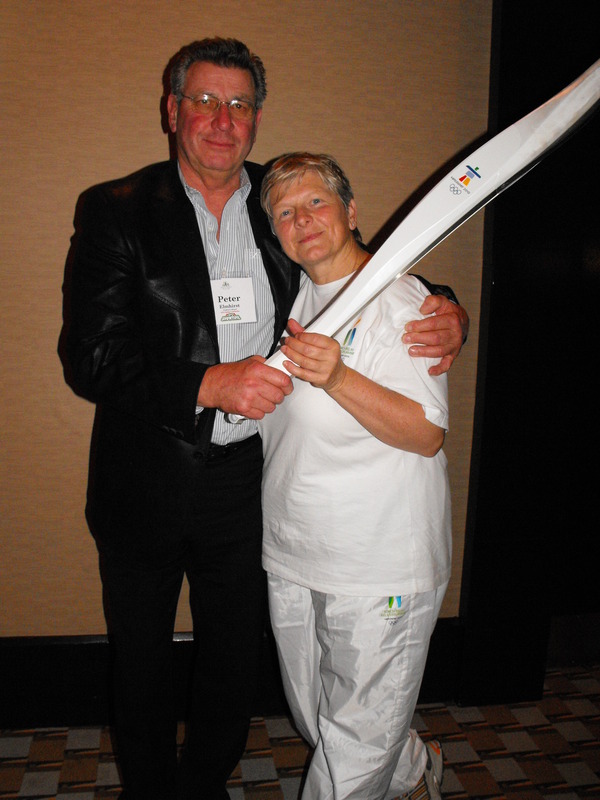 The dinner opened with a parade of current board members being led by Olympic Torch bearer Anne Marshall from Elmhirst's Resort. This was followed by a tribute to past presidents. Dinner was concluded and the live music from Jamie Williams began. Despite most people being on their feet the majority of the day the dance floor was full and Jamie even invited a few people on stage to help him perform. The next morning began with many tired but happy people returning to their booths on the trade show floor or attending breakfast with a presentation by Kevan Ashworth (Ashworth Photography) and Barb Kienapple (Jack's of Hearts design) on "How to tell your story!" which drew on real life experiences and how customers are motivated to buy. From there resort operators were given the opportunity to bid on donated items with benefits going to Camp Trillium. Needless to say it was a great event and thanks go out to all who were involved.